Australia’s Byron Bay, just a short flight from Sydney, is home to spectacular beaches and brilliant chefs who love to surf. Here, the healthy recipes that give everyone the energy to spend hours and hours on the waves. In Sydney these days, there’s a good chance you’ll find him or her in the town of Byron Bay. The past few years have seen an exodus of urban Australians to Byron Shire, a lush and hilly region about 470 miles north of Sydney, near the Gold Coast. Pristine beaches stretch for miles with views of breaching whales and amazingly consistent point breaks. Centered on Byron Bay, which juts out like a nose into the Pacific, the area has long been a destination for small farmers, international surfers and hippies. Now, a small but steady flow of talented chefs and restaurateurs who want to disconnect from the stress of city life are settling in. 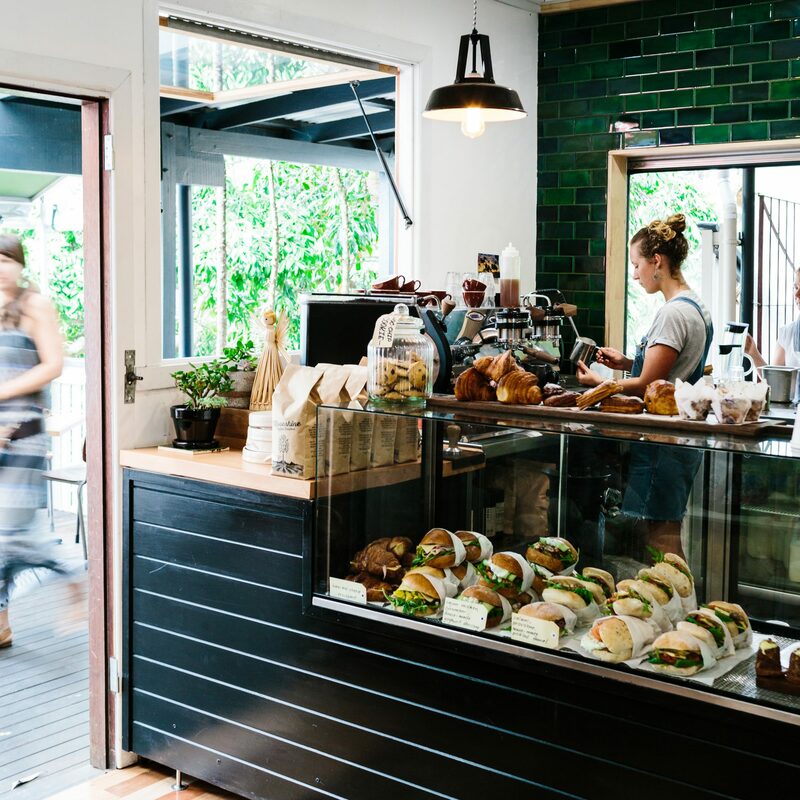 Like Sydney locals, people in Byron Bay are spoiled when it comes to expertly made lattes and gorgeous breakfasts. Among the options: Top Shop, near the main beach, which serves single-origin coffee and what some claim is the best burger in town, and Federal Doma Cafe, where Japanese hipsters prepare sushi and poached eggs with Asian-style hash browns. 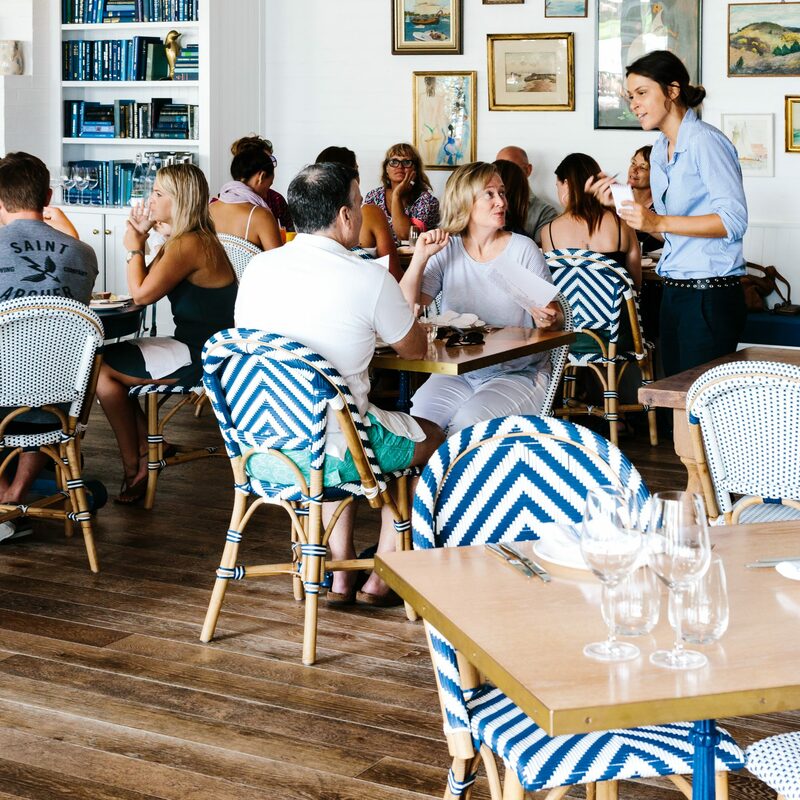 The new favorite breakfast destination is Corner Kitchen, located on the charmingly old-fashioned main street of Bangalow, a short drive west from Byron Bay. Opened by the owners of the nearby Our Corner Store (a whitewashed boutique filled with unusual design objects such as animal-head hooks, as well as necessities like the perfect jeans), it is less a surfer hangout than a stylish all-day café. Owner Aneka Sidoti’s menu is as well curated as her store, offering a superb mix of wholesome meals and indulgent baked goods, like the signature Hummingbird, a frosted banana-spice mini cake. The Kitchen makes a killer three-egg omelet, filled with zucchini ribbons, goat cheese and spinach and served with homemade sourdough bread and a cultishly sought-after chile jam. Just as popular is the smoked-trout-flecked kedgeree (opposite), full of enough healthy proteins to keep surfers going all day long. 18 Station St., Bangalow; ourcornerstore.com.au. Everything that’s served at The Roadhouse is freshly prepped in the morning, and more than a dozen dishes are offered daily, written up on a blackboard that hangs in the bar. Much of the produce on the menu is sourced from nearby One Organic farm. Coates says that the culinary manifesto of The Roadhouse is dishes that contain the “maximum density of nutrition” but are also delicious. One example: A healthy mix of steamed green vegetables served with tahini sauce, sprouted almonds and the Egyptian nut-and-spice condiment dukka is loaded with crunch. Desserts, like a lemon ricotta and honey cheesecake with a crust made of ground almonds, are almost always gluten-free, but no one writes the G word on the menu. 6/142 Bangalow Rd., Byron Bay; byronbaycafebar.com.au. The year-old Byron outpost of Sydney’s Three Blue Ducks is set in an agrarian utopia called The Farm. Located just outside Byron Bay, the 86-acre property includes vegetable gardens as well as a flower shop, market, bakery, foraging trail, yoga studio and cricket pitch. At Three Blue Ducks, chefs Darren Robertson and Mark LaBrooy focus on ingredients produced on the property—for instance, the giant heads of kale from the vegetable gardens and free-range chickens from the mobile coops. Robertson and LaBrooy specialize in Asian flavors, using bones from cows at The Farm to make broth for their rich pho. They season the short ribs with five-spice powder before grilling, then serve the beef with a vibrant radish salad tossed with yuzu dressing and a handful of herbs from the foraging trail. At least half of the baked goods in the glass display case at the Farm’s café are gluten-free, and desserts often call for alternatives to refined sugar, like charred mangoes with ricotta and honey. The cooks at Three Blue Ducks aren’t completely health-obsessed, though. They also make the best, most decadent snack in town: salted-caramel banana muffins. 11 Ewingsdale Rd., Ewingsdale; threeblueducks.com. 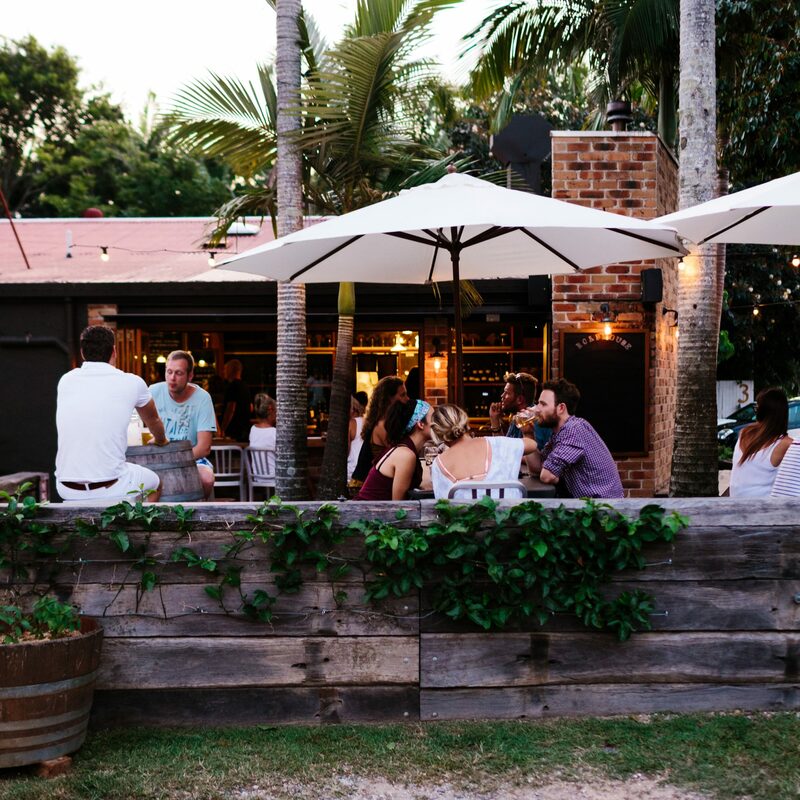 Last year a small group of chefs from the world-famous Noma in Copenhagen traveled to the tiny, funky beach town of Brunswick Heads outside Byron Bay. They wanted to visit their former colleague Josh Lewis and his partner, the talented sommelier Astrid McCormack, at their new restaurant, Fleet. Accommodating no more than 20 guests, this living-room-size space is the area’s toughest reservation, especially for anyone who wants to sit at the beautiful poured-concrete slab of a communal table next to the open kitchen. Fleet is so small that there is no room for cold storage, which means the menu is dictated by what’s available locally at the moment—a limitation McCormack and Lewis like. “It’s constant prep and serve,” says McCormack. 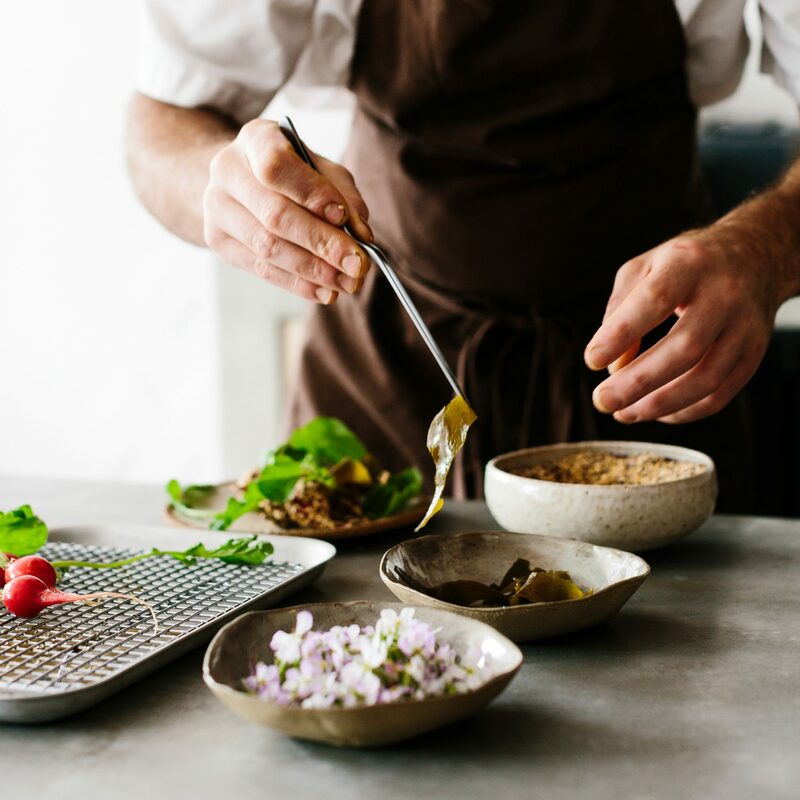 “Josh is doing what he loves.” One night they might offer a lovely arrangement of small blue sardine-like pilchard fish—preserved, fried and eaten whole—followed by fresh radishes brushed with honey and rolled in sesame. Another night they’ll prepare a finely shredded cabbage-and-kale slaw tossed in a tangy, pungent dressing of garlic and savory nutritional yeast. Much of the food arrives on earth-tone ceramics that are handmade by local artisan Anna-Karina Elias. 2/16 The Terrace, Brunswick Heads. When sisters Siobhan and Elisha Bickle bought an old motel in Cabarita Beach, about a 40-minute drive from Byron Bay, they conceived of it as a family beach house. (The two have nine children between them.) Soon, they decided to turn the place into a bohemian-style boutique hotel centered on a 90-seat restaurant and bar. Called Paper Daisy, it has a lapis-lazuli-and-white color scheme, cheerful clusters of artwork, wicker chairs and mid-century metal chandeliers. Up-and-coming chef Ben Devlin, who was raised in the area, oversees the modern comfort food menu. Despite his progressive and ambitious training at places like Noma, Devlin wants to serve food “that makes people happy.” Not, he emphasizes, huge cuts of expensive beef. “It’s not about being big and showy,” he says. Instead, he makes outstanding prawn sandwiches with housemade bread and a little bit of horseradish and finger lime sourced from a local citrus farmer. He serves his brined roast chicken with a salad that offers a superb mix of flavors: pungent (radicchio), tangy (pickled fennel), fruity (an orange juice dressing) and sweet (candied walnuts). When he grills line-caught local fish, he wraps it in paperbark because, he says, “The smell of the grilled bark sets off a strong feeling of nostalgia for anyone from this part of the world.” 21 Cypress Crescent, Cabarita Beach; halcyonhouse.com.au. Gisela Williams is the European correspondent for Food & Wine. She lives in Berlin but wants to move with her family to Byron Bay. 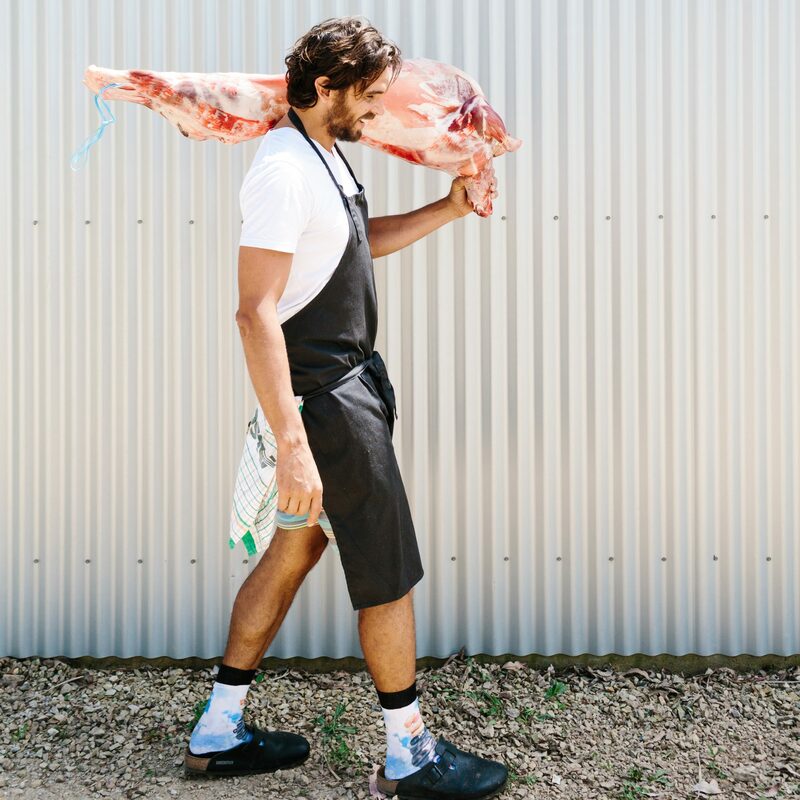 In this clip from Chefs Feed, chef Shaun Hergatt shares how growing up in rural Australia shaped his view on flavor profiles.